And this year’s environmental benefit was no different, despite some scattered rain. 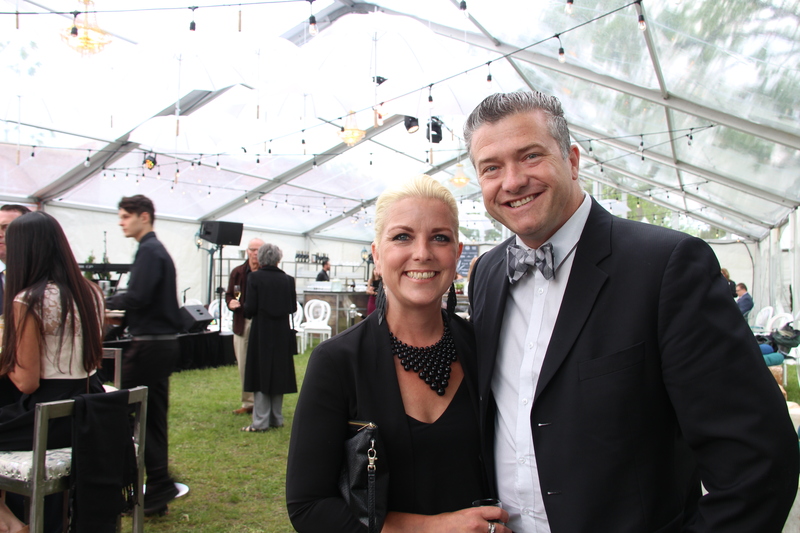 Some 450 attendees of the $250-a-ticket gala returned Wednesday to Lemieux Island in the middle of the scenic Ottawa River. Options for getting there included walking, biking or car shuttle. 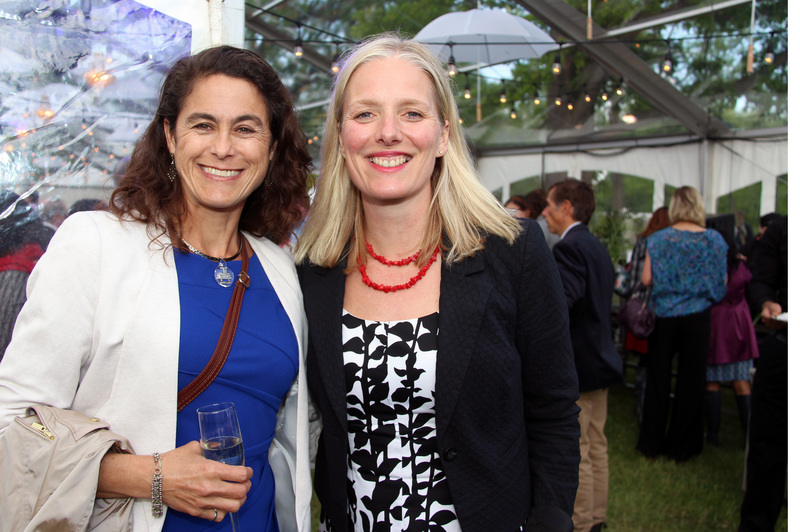 Once there, the crowd raised a record $265,000 for the Ottawa Riverkeeper, a citizen-based action group that protects and promotes the ecological health and diversity of the Ottawa River and its tributaries. With the forecast looking iffy, gala-goers got updates from organizers throughout the day, including a revised dress code of “riverside cozy.” That meant stilettos were out and Blundstones were in. Surprisingly, many women pulled off the "rain boot look" quite nicely. A giant clear-topped party tent was beautifully decorated with strings of lights and chandeliers, with white umbrellas suspended from the ceiling. A second large party tent (with a billiards table, to boot!) was positioned nearby for social butterflies to escape to during speeches. Seen were Ottawa Mayor Jim Watson and such city councillors as David Chernushenko, Tobi Nussbaum, a bow-tie wearing Tim Tierney and Michael Qaqish, as well as Gatineau Mayor Maxime Pedneaud-Jobin, Environment Minister and Ottawa MP Catherine McKenna, Green Party leader Elizabeth May and Treasury Board President Scott Brison. Journalist Evan Solomon was back to host the evening while the lovely Kathleen Edwards, who is an acclaimed musician and Ottawa Riverkeeper ambassador, performed for the crowd. Partygoers also included those whiz kids from Shopify, including co-founder and CEO Tobi Lütke and COO Harley Finkelstein (it's a telltale sign of a good bash when those two attend). 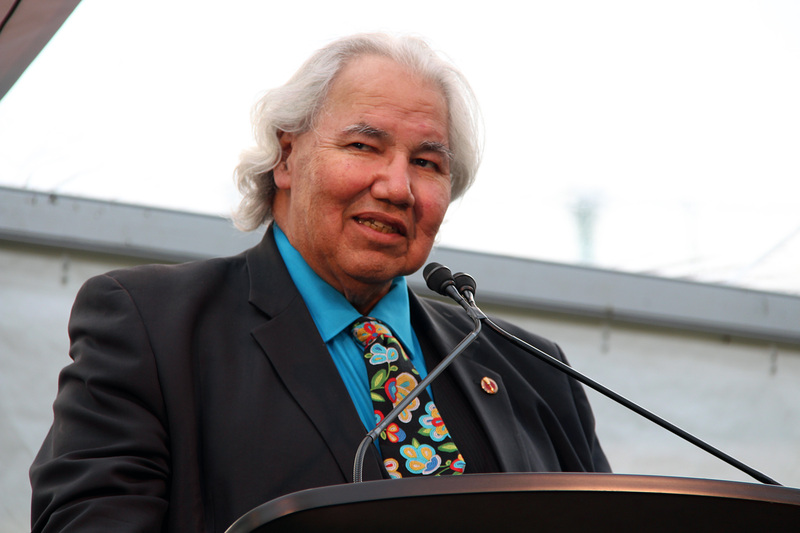 Senator Murray Sinclair, co-chair of the Aboriginal Justice Inquiry in Manitoba and chief commissioner of the Truth and Reconciliation Commission, was this year’s honourary Riverkeeper. Ottawa Riverkeeper Meredith Brown and executive director Patrick Nadeau presented him with a hand-carved canoe paddle, similar to the ones given in previous years to prime ministerial wife Sophie Grégoire Trudeau, former sergeant at arms-turned-ambassador Kevin Vickers, Governor of the Bank of Canada Stephen Poloz and his predecessor, Mark Carney. Sinclair, who was the first aboriginal judge appointed in Manitoba and only the second in Canada, became a senator last year. He warned of the great risks that exist of losing our waters, both in Canada and beyond, to industry and pollutants. Ottawa lawyer and charity auctioneer Lawrence Greenspon quieted down the chatty crowd for long enough to sell an all-red Martone commuter bike (snapped up by Dr. Bella Mehta and her husband, Sanjay Shah, president of ExecHealth), a Wood Duck 12 recreational kayak, an oil on canvas of a view from Lemieux Island Bridge by Ottawa artist David Lidbetter and an Adventure Canada expedition for two to Canada’s Sable Island. It went for $11,000. The last thing anyone wants to wear this time of year is a toque, but they made for practical parting gifts, courtesy of Canada Goose.